No, Mr. Bond, I Expect You to DIET! If you weren’t there, you can’t imagine how exciting it was to arrive at the theater when this movie opened in 1971. 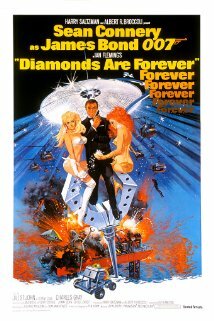 To my wide adolescent eyes, the poster alone (featuring a gazillion diamonds in space, stuff blowing up, and Sean Connery flanked by Lana Wood and Jill St. John in bikinis) promised an evening of pure guilty pleasure. Sad to say that 40-some years later it’s a guilty pleasure of a different kind… indifferently directed, filled with unattractive performances, and with a dud script that’s especially painful after On Her Majesty’s Secret Service. The Nixon-era Vegas locations are so surreally ugly that you half expect Hunter S. Thompson and his Samoan attorney to come ripping through in their great red shark. And to paraphrase Hemingway, any movie that leaves you idly speculating that it would have been better with George Lazenby is a bad movie. From Dr. No through Thunderball, Sean Connery had the grace and alertness of a panther on the prowl. In Diamonds are Forever, he’s just a jaded middle-aged movie star walking through a role he no longer takes seriously. Paunchy, jowly and sporting a greasy toupee, he looks more helplessly irritated as the movie drags on. Toward the end, when two girls send him crashing into tables and chairs, you realize that if he was any fatter and his pink tie any shorter, he’d be Oliver Hardy. On the plus side… Jill St. John is a nice surly Bond girl — just the woman to help you start to get over Diana Rigg. Always a terrible actress, here she basically gives up, and unlike Connery, lazy indifference suits her. (If Bob Hope had only played Blofeld and growled leeringly at her, the movie would be perfect.) Although the chases inaugurate the “Smokey and the Bandit” vibe of the 70s, they do feature a cool red Mustang and a clumsy Moon Buggy. I still have the Corgi Toys of both. Finally, there’s the fantastic title song. 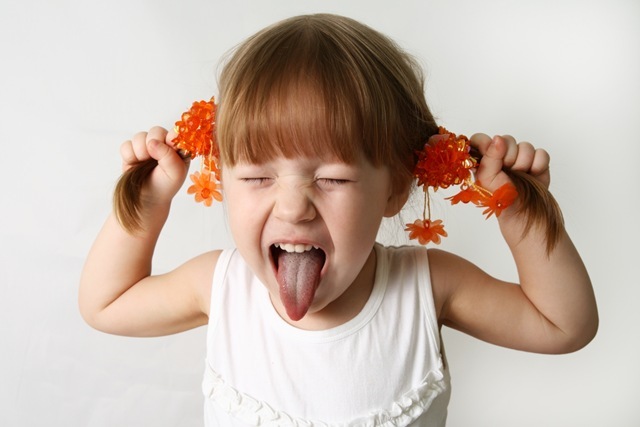 If you listen to the words, it expresses not just the Bond character’s jaded contempt, but that of the whole cast and crew. So, if I haven’t made it clear, I love this sleazy movie. Is it worthy to stand with a series that includes OHMSS, Goldfinger, and Casino Royale? Irrelevant, Mr. Bond!